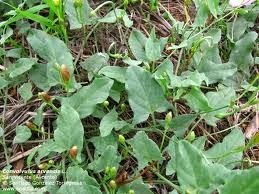 Most weeds can be controlled by pulling or hoeing when just emerging. A very few are so persistent and have such extensive rhizomes that chemical control is required to get rid of them. * It's best to avoid herbicide and insecticide use when possible, but these products may be applied with care to tackle a specific problem when you think it's necessary. Glyphosate is a broad-spectrum herbicide used to kill these three weed types. It is widely available as Roundup. All chemicals should be applied according to product guidelines. 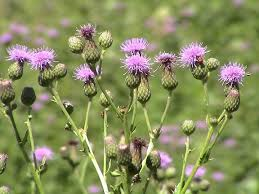 Canada Thistle (Cirsium arvense) Because of the plants' extensive rhizomes, three to four applications may be needed. Remove flowers and don't let this plant set seed as it is highly viable and carried easily by summer breezes. 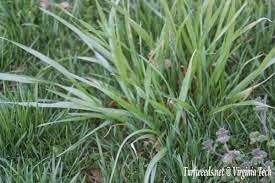 Quackgrass (Elymus repens) In a new planting area, eliminate this weed with one to two applications of glyphosate. In established gardens, keep removing rhizomes as consistently as you can...even digging them out of perennial roots. 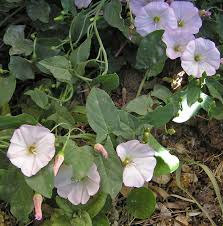 Field Bindweed (Convolvulus arvensis) With its long growing season, twining stems up to 18' in length and creeping rhizomes, this spreading vine can consume any garden. It is often introduced into gardens in the root ball of field-grown trees or shrubs. 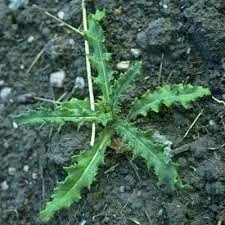 In my experience, one spray application gets rid of this weed. *My primary source for this post is The Know Maintenance Perennial Garden by Roy Diblik. The next post will be 'Other weeds you should know' also inspired by and sourced from Roy's book. Noted plantsman and designer Roy Diblik has spent more than 30 years studying, growing, and enjoying plants. Roy's recent work includes a planting of the new Oceanarium at the Shedd Aquarium in Chicago and a garden for the modern wing of the Art Institute of Chicago. He is best known as the plantsman behind Piet Oudolf's midwestern garden designs, including the Lurie Garden at Millennium Park in Chicago.